The PeriClean specialty toothbrush for receding gums is an effective and affordable oral hygiene product that will keep you smiling for all the right reasons. Through many years, people across cultures have been trying to find ways to protect their teeth. In the past, some relied on twigs for tooth cleaning and in the 20th century the toothbrush was born to try to keep our pearly whites as clean as possible. 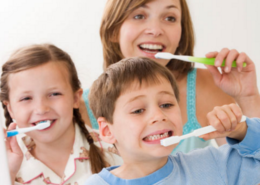 Since we were kids our parents have told us to brush at least twice a day without knowing there was a potential danger in that very act. The PeriClean specialty toothbrush for receding gums and post-surgical dental procedures is an innovative brushless dental cleaning product that was developed by Dr. Jack Gruber, DDS to address the problems associated with brushing your teeth and gums with an old fashioned toothbrush. How does PeriClean Help? Let's Take a Closer Look and Find Out! 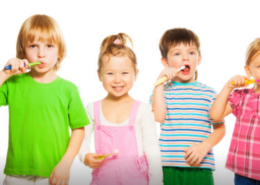 When it comes to oral hygiene, it is commonly believed that brushing your teeth with a toothbrush protects the gums. However, not many realize that brushing the outer layer of your teeth with nylon bristles can do more damage than good. A regular nylon-bristled toothbrush may even cause gum recession which may be permanent. The gums are the Skin Of Your Teeth® and when your gums begin to recede, this can cause damage to the bone which actually hold your teeth in place. The roots of the teeth can also become exposed which causes sensitivity to cold. When you use the PeriClean specialty toothbrush on healthy or receding gums, you can rest assured that you are helping to protect your gums from receding and exposing the tender layers of bone underneath. Plaque is formed when colonizing bacteria try to link themselves with the smooth surface of the tooth. This biofilm looks pale yellow in color and can result in tooth decay. It is a common belief that plaque is hard and needs to be brushed away vigorously. On the contrary, plaque is actually soft, but when it is left unattended, then it starts to harden into tartar. Once tartar forms, it can only be removed by a dentist. The solution lies in getting to the root of the problem, before tartar starts to form. PeriClean tackles plaque while it is still soft so there is no damage to the tooth. When it comes to oral hygiene, it is commonly believed that brushing your teeth with a toothbrush protects the gums. However, not many realize that nylon-bristled toothbrushes could cause gum recession which may be permanent. Now why is gum recession bad? It exposes and damages the bone which actually holds the teeth in place. When you use the PeriClean specialty toothbrush for receding gums and post-surgical dental procedures, you help protect your gums from receding and exposing the tender layers underneath. PeriClean is soon becoming the instrument of choice when it comes to oral hygiene. When you visit the dentist for a clean-up, they would normally use a rubber dental instrument and not a toothbrush to polish your teeth. These professionals know that toothbrushes can escalate the problem rather can provide a solution. If you have seen spots of blood while brushing or flossing-there could be a problem. 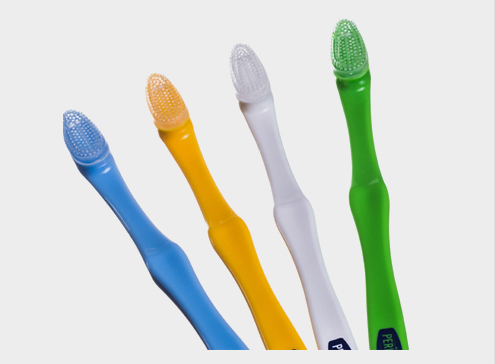 Opt for the PeriClean specialty toothbrush for receding gums and post-surgical dental procedures so you do not aggravate potential problems any further. We have all been told over the years how careful we should be when it comes to the enamel on our teeth. The enamel on your teeth can in a way be compared to the paint on your car; both are a thin protective layer and both have the tough job of protecting what's underneath. If you wouldn't scrub the paint on your car with a brush three times a day for fear of damaging the thin protective layer of paint, than why would your scrub your teeth three times a day with a brush? Enamel is the hard mineralized coating that surrounds the tooth. When you excessively brush your teeth, you are also brushing away at the enamel. Any damage to this protective layer makes the teeth look yellow and old. Now that's certainly something you would want to avoid. 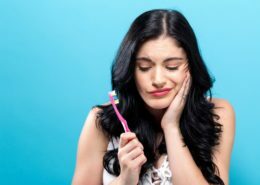 Unfortunately, most people think the harder they brush, their teeth become cleaner, but this really isn't true. Brushing too much can do more damage than good. When you use the PeriClean specialty toothbrush, you'll retain more of your tooth enamel. The PeriClean speciality toothbrush for receding gums and post-surgical dental procedures is an effective and affordable oral hygiene product that will keep you smiling for all the right reasons. I have been using it for the past 6 months - since Dr Gruber gave it to me and until my next checkup, which was last night. Once I got used to the feeling of brushing without bristles, I was fine with the experience. My teeth were perfectly clean after 6 months, and my gums were very healthy. Dr. Gruber even believes that the one tooth where I have some gum recession had an improvement. He thinks the gum there has even grown back a little!